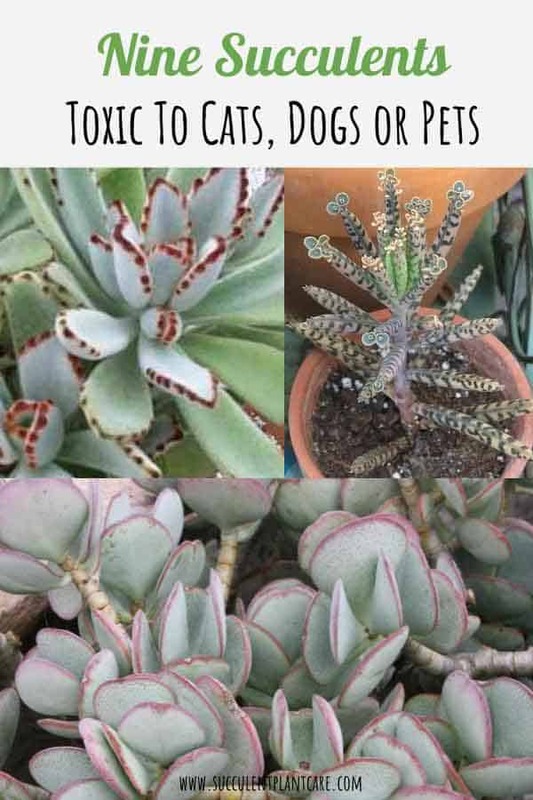 Are succulents toxic to pets? Hopefully your pets are not chewing on your plants or digging them up for fun, causing damage. But if they do, should you be worried about toxicity or poisoning? Luckily, most succulents are considered non-toxic and are harmless to pets when ingested. Others contain skin irritants that can cause minor skin irritations, and some can cause mild symptoms when ingested. But there are a few succulents that can be fatal when ingested in large quantities. Aloe is a large and popular genus consisting of small dwarf species and large tree-like species growing up to 30 feet (10m). 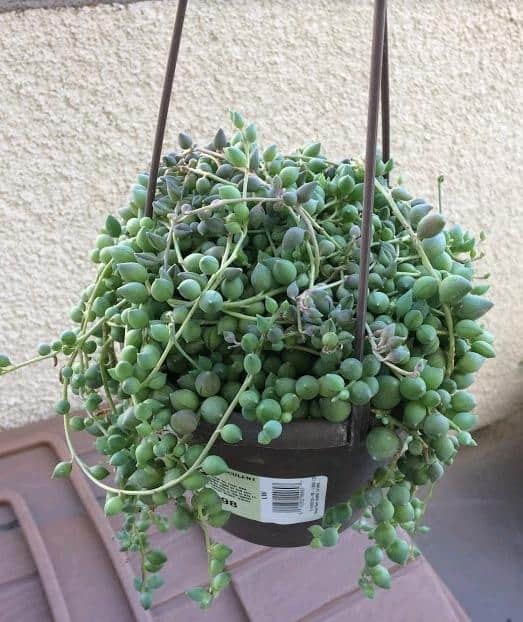 They have thick, fleshy, green to bluish-grey-green leaves. Some varieties have whites flecks on the stem surfaces. Although aloe vera is known for its many medicinal and beneficial properties to humans, it is toxic to both cats and dogs when ingested. Saponin, a chemical in aloe, is the main toxin which can cause serious problems in your pet’s system. Clinical symptoms of poisoning: abdominal pain, diarrhea, nausea, vomiting, skin irritation, lethargy, tremors. 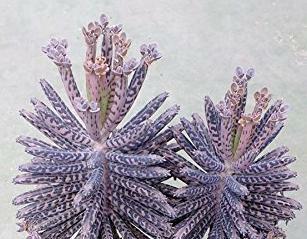 Native to Madagascar, these succulents have highly adapted to growing indoors. They can grow upto 1-2 feet tall and are valued for the flowers they produce which are usually red, pink or white in color. These plants are covered in sharp thorns about ½ inch long. The name, ‘Crown of Thorns’ comes from the biblical story of Christ’s crucifixion and identifies the plant as the mock crown placed on Jesus’ head at the crucifixion. These plants are very prickly and bitter, therefore accidental poisonings are rare. The white, milky sap of the plant referred to as latex, contains the strongest amount of toxicity but any part of the plant can cause irritation. The plant is irritating to the skin and poisonous when eaten. Take necessary precautions when handling these plants. The sap that oozes from a broken stem or leaves can cause skin irritation. Symptoms include: nausea, vomiting and diarrhea when ingested; skin irritation, dermatitis from skin contact. Dogs may also experience blistering and swelling around eyes and mouth area. 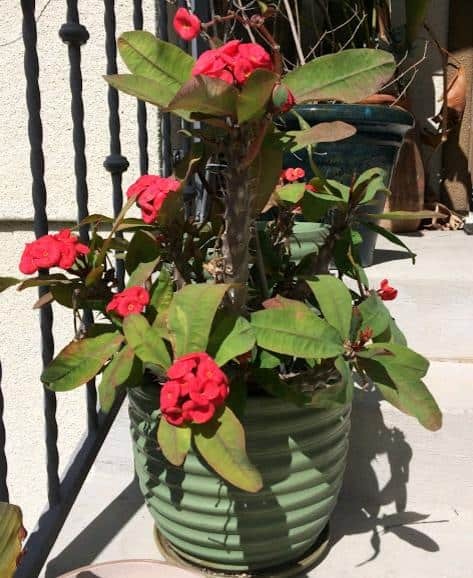 Euphorbia is a large genus of succulents with over 2,000 species. Most Euphorbias are native to Africa and Madagascar. 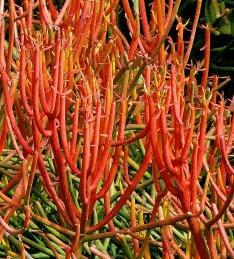 Euphorbia Tiruacalli (Firesticks, Pencil Tree) have small and slender leaves with cylindrical branches. Their color ranges from green to orange-red and intensify during colder winter months. The main irritant is the sap from the plant. Kalanchoes are popular houseplants because of their beauty and ease in care. Kalanchoe genus includes hundreds of species of attractive, flowering plants. They produce showy flowers making them popular ornamental plants. Kalanchoes are known to be poisonous to cats and dogs and other wildlife. These plants contain bufadienolides cardiac glycosides, causing irregular heartbeats, severe weakness and abnormal heart rhythm. Panda plants are perennial shrubs with furry leaves that are grayish green in color with white hair and some brown spots on margins and tips. Their beauty and ease in care make them a popular houseplant. 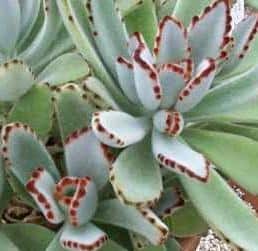 All parts of Kalanchoe Tomentosa (Panda Plant) are toxic when ingested. Common symptoms include: vomiting, diarrhea and lethargy. The plant can be fatal when ingested in large amounts. 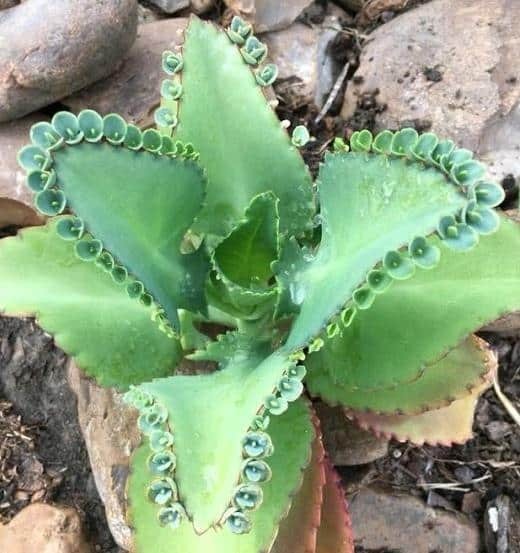 Native to Madagascar, these are also called Bryophyllum Daigremontianum (commonly called Mother of Thousands, Alligator Plant, Mexican Hat Plant). Mother of Thousands are attractive and unusual looking plants with large green leaves that form baby plantlets along the edges. These plantlets are known to grow anywhere they land and can be difficult to get rid of because they are rapid growers. These plants are considered a nuisance to some and invasive weed in some areas. These plants are hardy and can tolerate intense heat once established. The plant contains a toxic steroid known as daigremontianin. 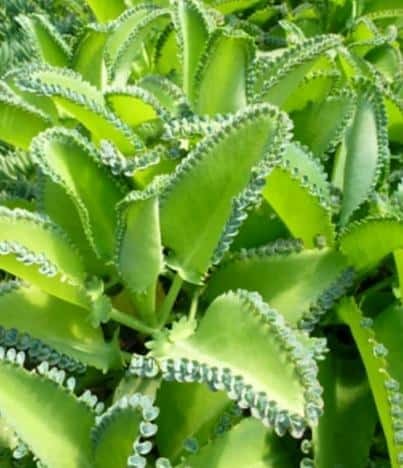 Also referred to as Bryophyllum Delagoensis, these are rapid growing plants that are known to multiply easily anywhere it lands, giving them their rightful name ‘Mother of Millions’. They produce little plantlets that grow from the ends of the plant. These plantlets are capable of growing relentlessly anywhere they land, and their seeds can survive for years even when the plants are pulled out. These plants are not only drought tolerant, but highly adaptable to different environments, and are considered as weed or invasive species in some parts of the world. They contain bufadienolide cardiac glycosides, which can be fatal when ingested in large amounts. The level of toxicity is generally mild to moderate and rarely severe. Clinical symptoms include: gastrointestinal irritation or upset, vomiting, diarrhea, abnormal heart rhythm (rare), there is a higher risk of more severe symptoms if large amounts are ingested. Crassula is a large genus of succulent plants. Jade plants are native to South Africa and Mozambique. Known to some as money tree, lucky plant, or friendship tree, jade plants are one of the most popular and common succulents out there. They are recognized for their thick, fleshy, shiny, smooth leaves that grow in opposite pairs. 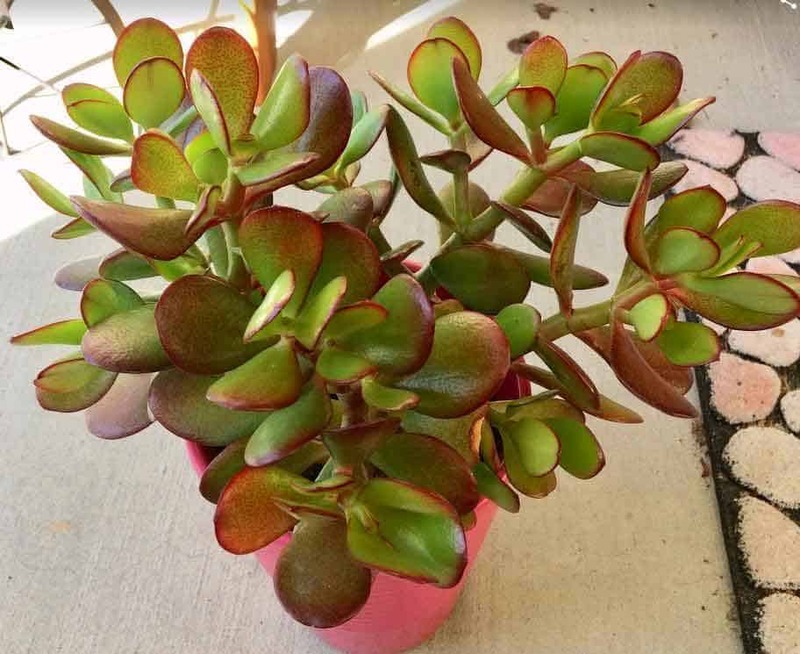 It is unknown what substance makes jade plants toxic. 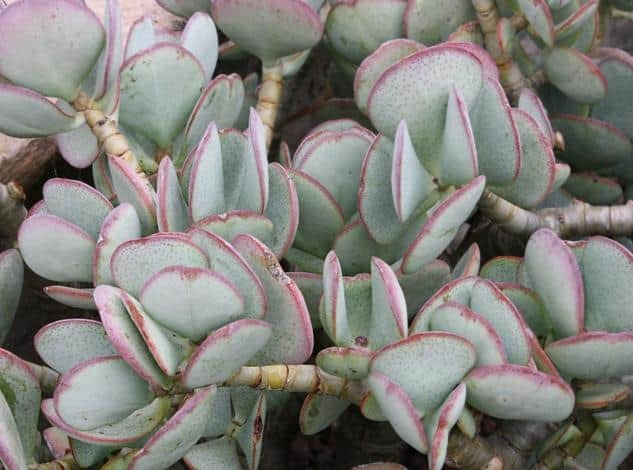 Crassula Arborescens (also known as Silver Jade, Chinese Jade, Money Plant) is native to South Africa. Their distinguishing features are their ‘silver dollar’ leaves, which are round and silvery-green in color with reddish edges. The toxic substance is unknown. Sansevieria Trifasciata, commonly known as Snake Plant or Mother-in-Law’s Tongue are native to West Africa. They have long, slightly windy leaves that point upwards. The leaves are mostly green, some varieties have yellow edges. These plants make excellent starter plants due to their ability to tolerate neglect. 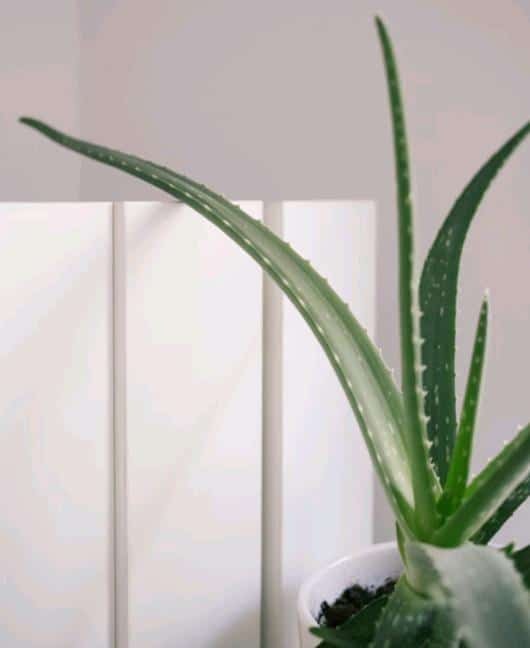 Snake plants are known to help purify the air by removing formaldehyde and benzene toxins from the air in your home. The chemical compound in snake plants that can cause irritation is saponin, which is also found in various other plant species. Native to South Africa, these plants have become very popular for their trailing habits and versatility. The stems can grow up to 3ft (90cm) long and can be left hanging or trailing. The stems are lined with small, round, pea-like green leaves. These plants are coveted for their beauty and their unusual appearance. They produce fuzzy white flowers that have a sweet, cinnamon-vanilla scent. These plants are not frost tolerant and need protection from direct sunlight. According to the University of California, Davis, this plant’s sap can cause dermatitis or skin irritation to humans and pets. Your plants may look too tempting for your pets. You may have a chronic leaf chewer or a digger. You may need to come up with clever ways to deter them from your plants. Although poisoning is rare, pets may be in danger if left unattended. When in doubt, you can look up the plant to make sure they are safe to have around. The ASPCA’s (American Society for the Prevention of Cruelty to Animals) website provides valuable information and a comprehensive list of toxic and nontoxic plants for cats, dogs, and other house pets. If you suspect poisoning, contact your local veterinarian immediately or the ASPCA Animal Poison Control Center at 888-426-4435.